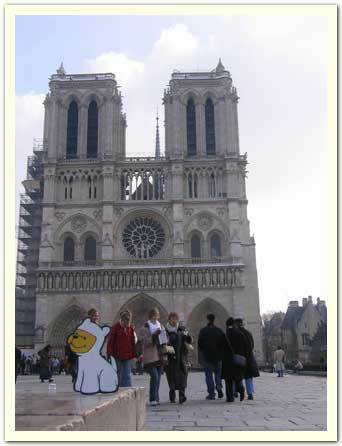 Bumperpup visits La Notre Dame. February 2005. 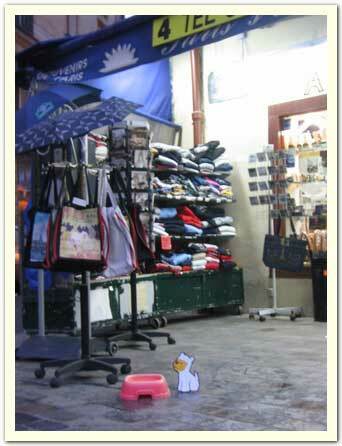 Photo taken by Adrienne R.
Bumperpup at Place St. Michel. 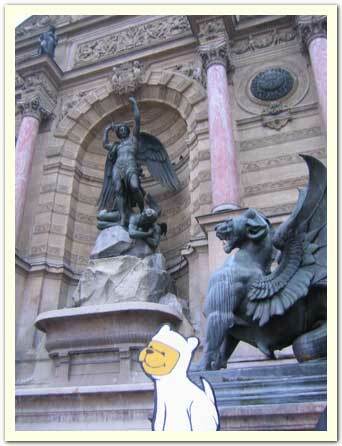 He's not afraid of any fierce winged lions! 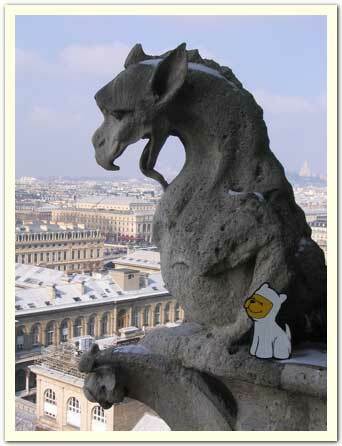 Bumperpup will defend the Cité with his new gargoyle friend! 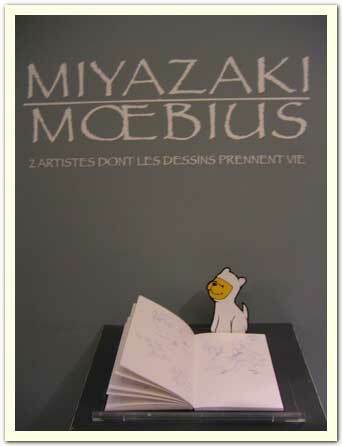 What a lucky dog...Bumperpup visits the Hayao Miyazaki/Moebius exhibit. 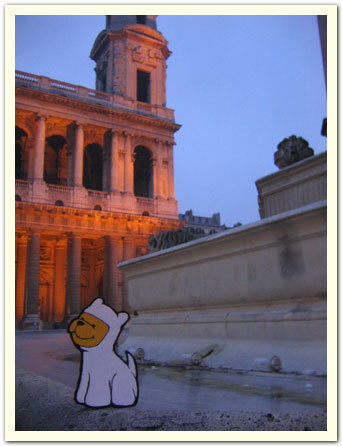 Bumperpup enjoys the beautiful sunset at St. Sulpice. After a long day in Paris, Bumperpup a très soif!